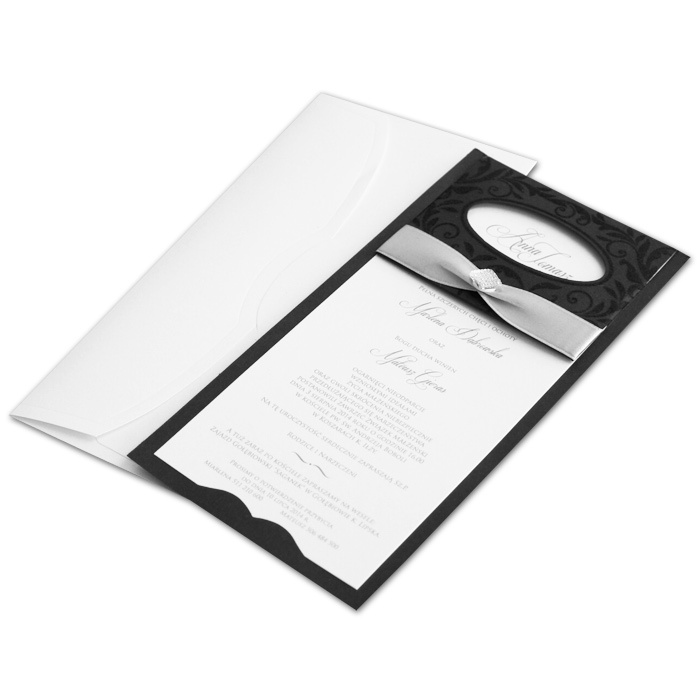 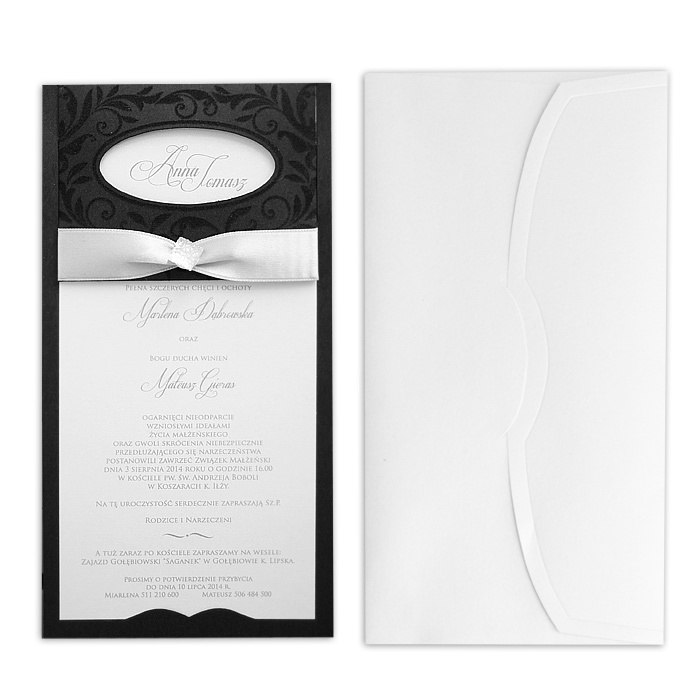 An elegant invitation The insert is made for white pearl paper. The base is black, richly decorated with motifs created from a suede-like material. 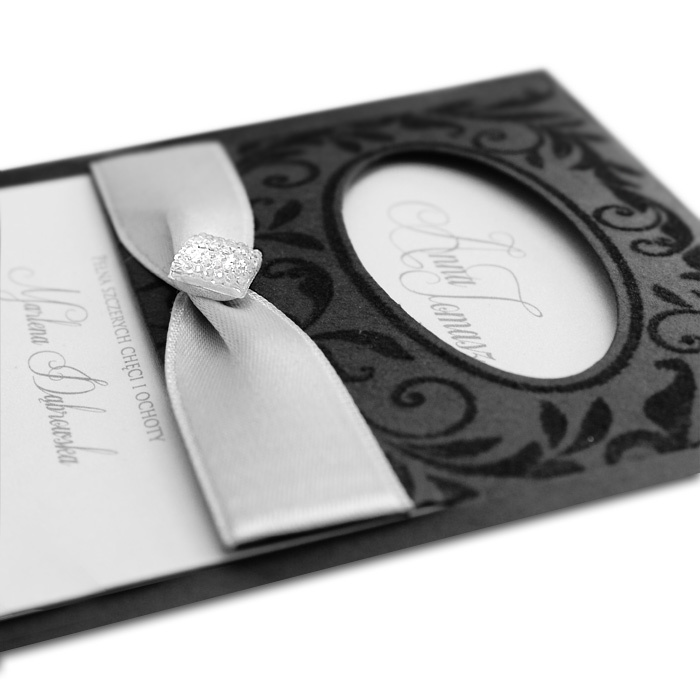 A silver ribbon with a crystal forms and additional decoration. The envelope is white, from metallic paper.